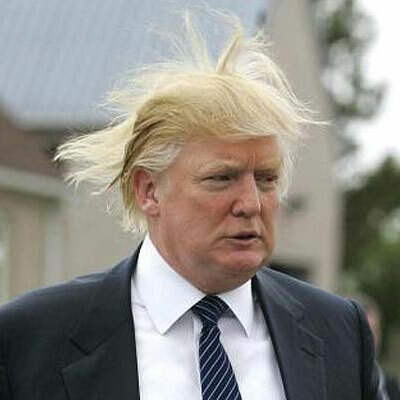 The Beltway media villagers and pundits who deem themselves the gatekeepers of American politics insist that there is no chance that the billionaire buffoon Donald Trump can win the GOP nomination. “The Donald” has no chance of ever being elected president in the media’s conventional wisdom. Funny thing about the media’s conventional wisdom, it is almost always wrong. I worked for the Jimmy Carter campaign in 1980. It was oft-repeated during the campaign that there is no way that Americans are ever going to elect a bad B-movie actor president (one who frequently confused reality with his old B-movie roles). But Americans did, along with a host of truly awful Republican candidates for the U.S. Senate. There are times that America loses its mind. Historical context is a great asset. But is history always an accurate guide? Does past performance always give us the best predictor of future outcomes? This election season provides a fascinating frame to see if the polarization in politics, from Washington to the states to the public, is no different than what we have seen in the past; if the angry populism evident especially on the right but also to some degree on the left, is no different from the populism that has emerged following every economic setback; if the surge for an insurgent, non-establishment candidate that has always petered out well before the primary process is over will follow the same arc; if the Republican Party will once again flirt with outside-the-box candidates before settling on an establishment figure; if the fact that every major-party convention since 1952 has been over before a ballot is cast will hold true again. Or, perhaps, if this time might be different. So is anything really different this time? I think so. First, because of the amplification of rage against the machine by social media, and the fact that Barack Obama has grown stronger and more assertive in his second term while Republican congressional leaders have become more impotent. The unhappiness with the establishment and the desire to stiff them is much stronger. Second, the views of rank-and-file Republicans on defining issues like immigration have become more consistently extreme—a majority now agree with virtually every element of Trump’s program, including expelling all illegal immigrants. Third, unlike in 2012, when Mitt Romney was the clear frontrunner and the only serious establishment presidential candidate, and all the pretenders were focused on destroying each other to emerge as his sole rival, this time there are multiple establishment candidates with no frontrunner, including Jeb Bush, Scott Walker, Marco Rubio, John Kasich, and Chris Christie. And each has independent financing, with enough backing from wealthy patrons to stay in the race for a long time, splitting the establishment-oriented vote. The financing, of course, raises point four: We are in a brave new world of campaign finance, where no one candidate can swamp the others by dominating the money race. When establishment nemesis Ted Cruz announced his campaign, he had $38 million in “independent” funds within a week, $36 million of it from four donors. There is likely more where that came from. Some candidates may not find any sugar daddies, or may find that their billionaires are fickle at the first sign of weakness. But far more candidates than usual will have the financial wherewithal to stick around—and the more candidates stick around, the less likely that any single one will pull into a commanding lead or sweep a series of primaries, and thus the more reason to stick around. Fifth, the desire for an insurgent, non-establishment figure is deeper and broader than in the past. Consider that in the first major poll taken after the GOP debate, three insurgents topped the list, totaling 47 percent, with Donald Trump leading the way, followed by Ted Cruz and Ben Carson. And, as Trump and the insurgents have shown depth and breadth of support, desperate wannabes like Scott Walker and Bobby Jindal have become ever more shrill to try to compete. Walker, for example, trashed Republican leaders in Congress for breaking their promise to repeal Obamacare. Walker’s right wing alternative health plan, meanwhile, was trashed by Jindal for being too liberal. And the parade of candidates lining up behind blowing up birthright citizenship has been remarkable. Sixth, Donald Trump, a far more savvy candidate than, say, Herman Cain, has benefited from the anger in the conservative and Republican base electorate by running a pugnacious, in-your-face, I-am not-anything-like-these-other-clowns race, with his signature position being his extreme, nativist stance on immigration. His adherents have cared little about his positions on other issues; after all, Romney, John Boehner, Eric Cantor, Mitch McConnell, et al. promised them everything and produced nothing. So Ann Coulter, a Trump cheerleader, commented that she would be fine with Trump “perform[ing] abortions in the White House,” given his immigration stance, while other supporters have ignored any dissonance between Trump’s views and their own. Trump has also been the beneficiary of an almost-worshipful press thrilled with his perpetual-motion quote machine, which covers every press conference or town hall, often live on television, and rarely challenges his comments, feasting on every outrageous statement or attack against another candidate or critic. And the blanket press coverage has meant that Trump has not had to spend a dime of his fortune on political ads. Most pundits believe that Trump has a ceiling of support around his current levels of roughly 25 percent. But if other insurgents like Cruz and Carson have their own support nearing a combined 25 percent, why can’t Trump potentially garner a solid share of their backing if they falter? Moreover, if Trump does stay at 25 percent well into the primary season, he may well secure a strong plurality of support, with a bunch of other candidates getting 5 to 15 percent, letting him stockpile a number of delegates. And he might be able to win a slew of in states where the minimum threshold for delegates is 20 percent. The Republican Party changed its rules to try to close on a nominee earlier than in the past. But those rules, providing a window in March for winner-take-all primaries, might not have their desired effect. It is not difficult for me to imagine that Trump, Cruz, Carson, Huckabee, Bush, Walker, Rubio, Kasich and maybe a couple more can stay in the race well into April or later, with no single candidate emerging. Perhaps the Koch brothers and their allied wealthy funders will try to unite behind a single candidate, and force the others out of the race—becoming a surrogate for the RNC and the rest of the party hierarchy. But if they go to Bush, Kasich and Walker, say, and push them to drop out and back their choice of Rubio, why would the others, with just as many delegates and some strong financial backers, listen to them? This does not mean that we will have the first open convention in 64 years—it would not be a “brokered” convention, by the way, since there are no brokers anymore, but an open and free-wheeling one. There are still solid reasons to believe that there will be coalescence around an establishment figure, even if this one has to veer even more to the radical side than McCain or Romney did. Or there might be, like 1964, a clear nominee from the insurgent side, possibly Trump but also possibly Cruz. But there are also reasons to believe that if either of those scenarios prevailed, it would not be a happy convention. Somewhere near half the delegates will feel jilted, and Cleveland will rock. But there are plenty of historical parallels for that kind of convention, from the Cow Palace in 1964 to Chicago in 1968. History may prove a guide, but it’s no longer clear where it’s pointing. The “mistake by the lake” may no longer apply to the city of Cleveland after the RNC Convention, but rather to the GOP nominee selected at that convention. Let’s pretend Trump actually gets elected. How much time will he spend running his private business and how much of his time would actually be the people’s business? Not being focused on the country is what scares me the most.